It’s been almost a week since I left the airport in Kigali for America. It was most definitely an interesting trip home. The good part being that everyone made it home safe and all of the luggage did too, eventually. Life hasn’t stopped back home. The shop continued to make drinks, customers continued to buy coffee. Yet, life can’t be the same. Everyone has asked me about the trip obviously and it’s changed me for many reasons. One of them being that this trip was the best combination I’ve known of my experience in Church leadership, my love of coffee, and my passion for community development. Stories come in bits and pieces as people ask questions and situations trigger memories I wish to ensure never leave my brain. I’ve been able to make a lot more coffee lately. Measuring out each bean no longer feels like only a necessary step to grinding and brewing. 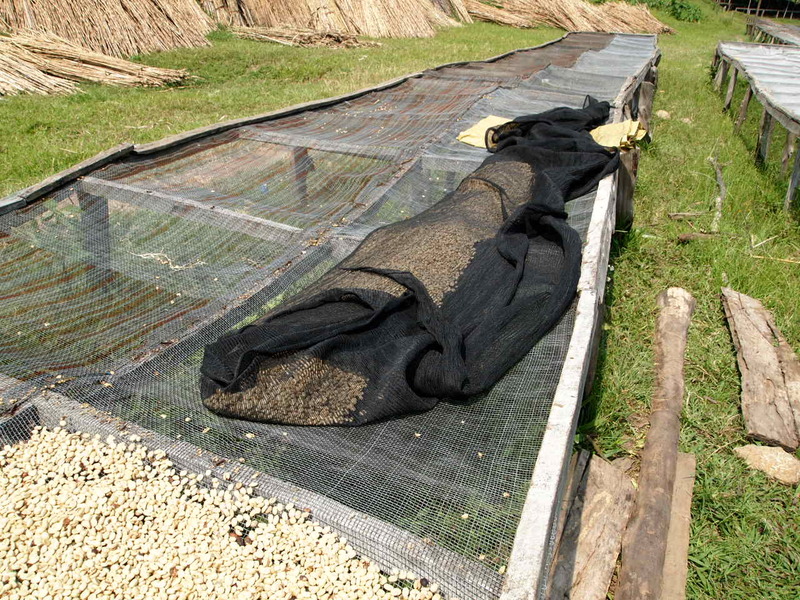 Each roasted coffee bean now has a face of a farmer. Chuma picking cherries from one of his 1500 trees along with his kids, 20 years of experience under his belt. Laurent wearing a Drink coffee Do Good shirt and a sport coat. Joy overtakes possible customer frustrations and smiling doesn’t seem to be so difficult in the face of tough situations. What becomes difficult is quantifying in words a trip that changes your disposition. Soon after arriving home I received an e-mail from a friend I met in Kigali. Our night security guard named Lucien at Altis, the hotel we stayed at in Kigali, wanted to make sure we didn’t forget about him. One way of ensuring that reality was leaving behind one of my hats for his use. The Detroit Tigers logo was surprisingly present in Rwanda. Walking around seeing a few t-shirts made me wonder. I noticed they all said “2013 American League Champions.” The only problem was that the Boston Red Sox were the American League Champions in 2013. This explains the mystery of where those t-shirts went. Looking through pictures and memories, handing out the little trinkets I bought, small things that keep me holding onto the trip in my memory. Before we left Lake Kivu I told the group that now that they have experienced the people of Rwanda we now have the responsibility of telling their story, to explain to others who weren’t there the reality of the country. Last night was a great example of that. About 15 minutes before we closed a couple ordered a few drinks. As they were waiting for their tea to brew I told them about my recent trip in which they were incredibly surprised by the peace, joy, and love I described. They had been in other African countries and expected the turmoil of the past to forever affect the people. I refuse to allow others who are bent of negativity to miss the reality of what I experienced. 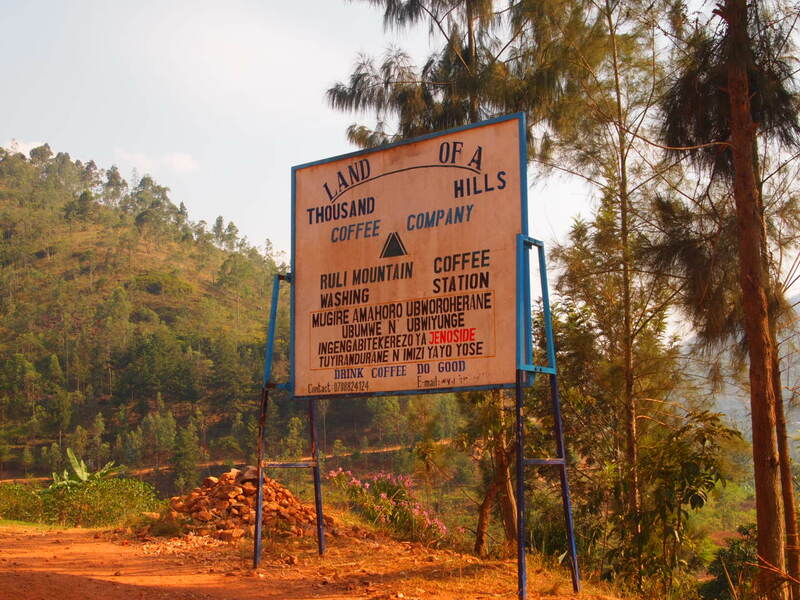 The story of Land of a Thousand Hills Coffee Co. is one of engaging the reality in Rwanda. That people have been forgiven, love has been offered, peace and unity are the only options they seem to entertain as possibilities. LOTH has given me the opportunity to take this trip and make it a reality for those who are engaging in the same story through their coffee and cafe selection. By coming to our shop, even if they buy tea they are saying to us that they believe in our decisions to make possible opportunities in Rwanda that didn’t exist before. I have made it a goal to make sure that I never pass up an opportunity to express my thanks to the people that frequent my shop. Not necessarily because my job depends on their patronage. 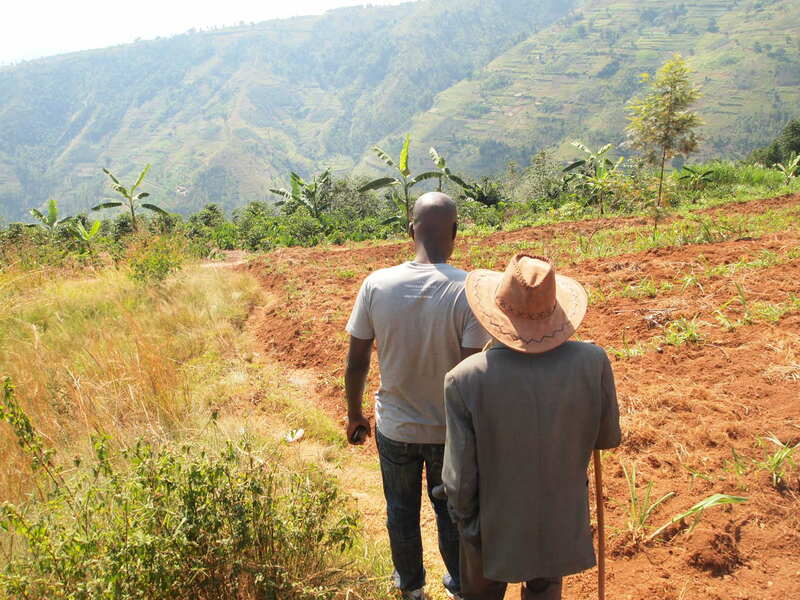 It is because the farmers and other people I met in Rwanda asked me to. In this mutually beneficial coffee relationship the farmers didn’t stop thanking me for making possible their livelihood and it is my job to pass that on to you. Coffee is a beautiful thing, it creates some of the best sensory experiences I have ever had, but it is also a living thing. And with it’s life from the tree it creates more life in the hearts of people who experience the beauty of the real land of a thousand hills. 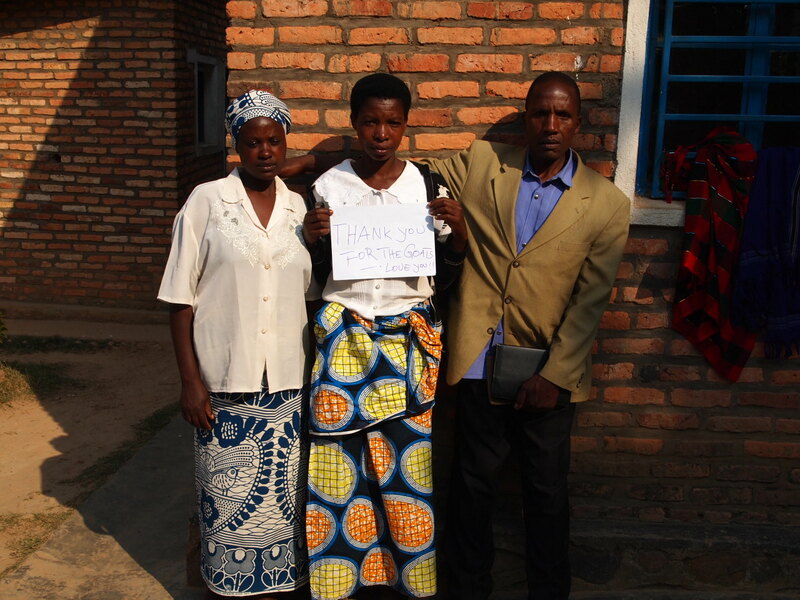 It creates life in the smiles of Rwandan people thanking me for experiencing who they are. As much as I try to explain these things to you, it can only be experienced best first hand. Communities are formed from this life giving tree as we all can engage in the redemption of Rwanda. One cherry, one bean, one cup at a time. We have less than 24 hours until we are on a plane headed back eventually to US soil and back into my loving wife’s arms. While I do have very sad feelings about this today was a day of rejoicing on the things we have experienced and can’t forget. The morning started before my alarm. Which has been interesting, it’s like my body wants to get started before the rest of me each day. Taking my breakfast by the lake I was entirely amazed and what has transpired for more than 2 weeks. Soon I was joined by Eric. Eric is a citizen of 3 countries. Born in Uganda, with family from Rwanda he came over after the genocides before living in the US for the last 6 years and became a citizen. He worked in some capacity with the Rwandan Government so I began to ask him about the transition of a violent Rwanda to the peaceful, joyful one we see today. 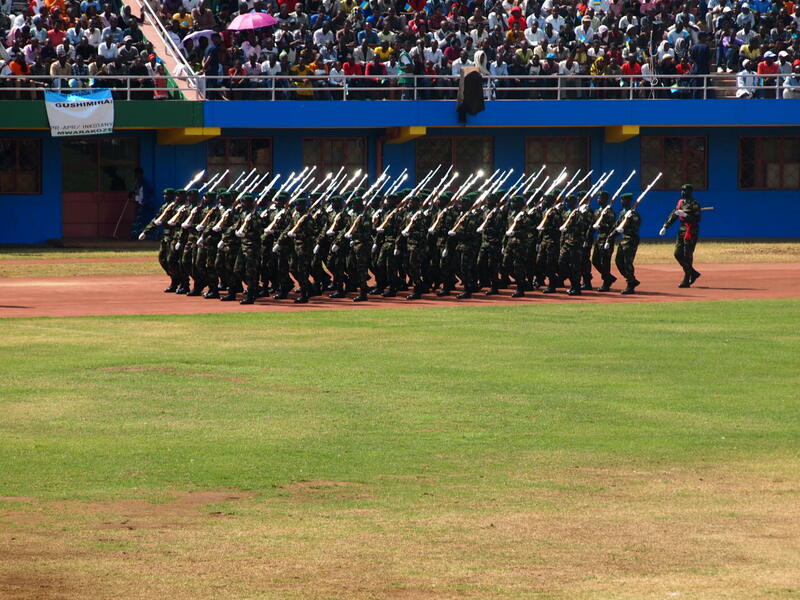 Once the war was over Eric came to Rwanda and was able to see the transition within government first hand. From the very beginning of the non-genocide regime, unity was desired. They knew they needed to be one country from the top to the bottom. This was a relaxing day. Manu reserved us a boat to go to coffee island but we had a minor detour to another washing station first. 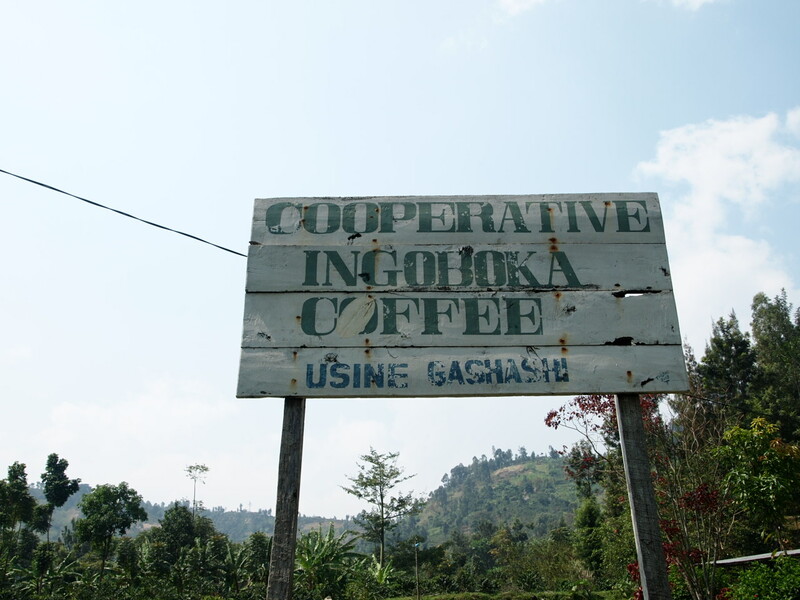 We went to Ingoboka, which is where we tasted coffee from at the beginning of the trip. We walked around and saw some parchment drying. Some of it nearing the end of it’s drying was significantly lighter in weight than the coffee near by that still had some drying to do. We walked around the coffee plantation and I could visibly see the difference in expected quality in the trees producing on this lake. Being at a lower elevation they matured quicker and had less time to develop flavors. This means that the harvest starts earlier and they had more green cherries for their second harvest coming in a few months. After exploring the washing station we headed nearby with our boat to coffee island. Manu told us that they story behind this island is that people were living there in very bad conditions leaving their children with little security and a very dangerous working commute. So the government helped to move the people from the island and planted more coffee trees while helping to relocate them to safer territory. The policies to help the people seem so simple here. In the US we make things so complicated, so much red tape and people to jump through that many have not seen congress do much lately. Yet in Rwanda they see an issue and solve it the best way they can even helping the people relocate homes in order to be safe and give them more economic improvement. We played a lot of games when we got back to our resort. Card games have a way of bringing a group together. Once the games were over, well, suspended. We spent some time in reflection over this last week. It’s been emotional, so many things have happened and it’s been my experience that when a significant trip like this occurs a person needs to begin to process what has happened to avoid hardship when reintegrating to “normal” life in the US. The time spent reflecting on the genocide memorial, cupping lab, Ruli, Mbilima, Liberation celebration, Akagera, Church, Forgiveness school, Vocational School, Traditional Village, Kivu, it was a ton of things to do. I wish I had words, maybe on the plane ride home I’ll be able to write a poem or somehow put into words what this trip has meant. A significant question I asked the group at the end of our discussion is “ now that you know what you know, now that you’ve experienced what you have, what are you going to do about it?” My answer comes down to 2 main things. One is that the people work here so incredibly hard and we can have a tremendous impact on their lives by simply creating great experiences for our customers. So the frustrations that might come with being a barista don’t seem so significant when you have seen the children and farmers I am affecting by making sure those frustrations don’t get the best of me. Next is telling this story. I told the group that now they are our ambassadors and they are Rwanda’s ambassadors. It is up to us to go back to the states and explain that the stereotypes aren’t true. Rwanda is a place of peace,forgiveness and love. 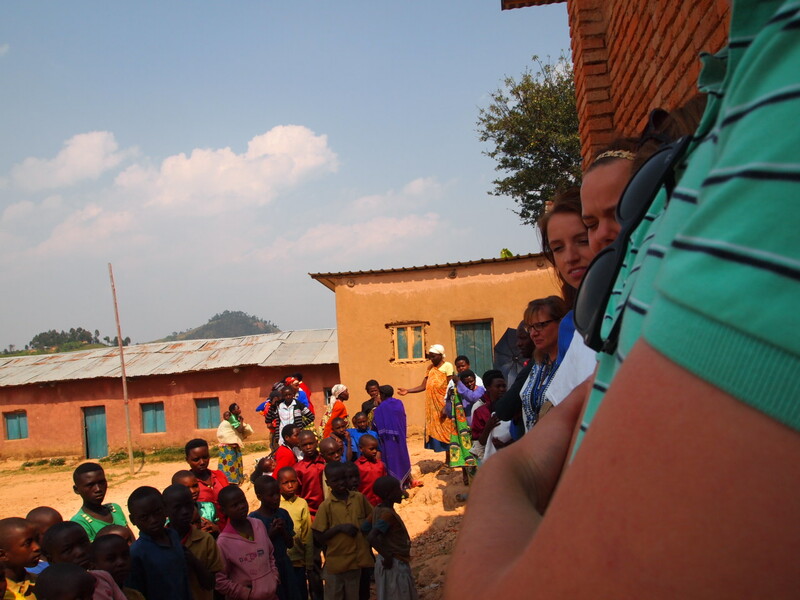 Rwanda has taken my heart and reshaped it into more of a complete being. When I return home I will better be able to write a reflection on the whole trip but for now, let me assure you that this is a place that must be experienced. It must be known to the world. My joy will be to share that with you. It’s kind of weird, the time with our coffee and community partners is basically over and yet we don’t leave for two days. Currently I am sitting at our hotel that backs up to Lake Kivu. I was thinking myself why would we even go to the lake let alone stay there for a day and a half. It didn’t take me long to see why however. 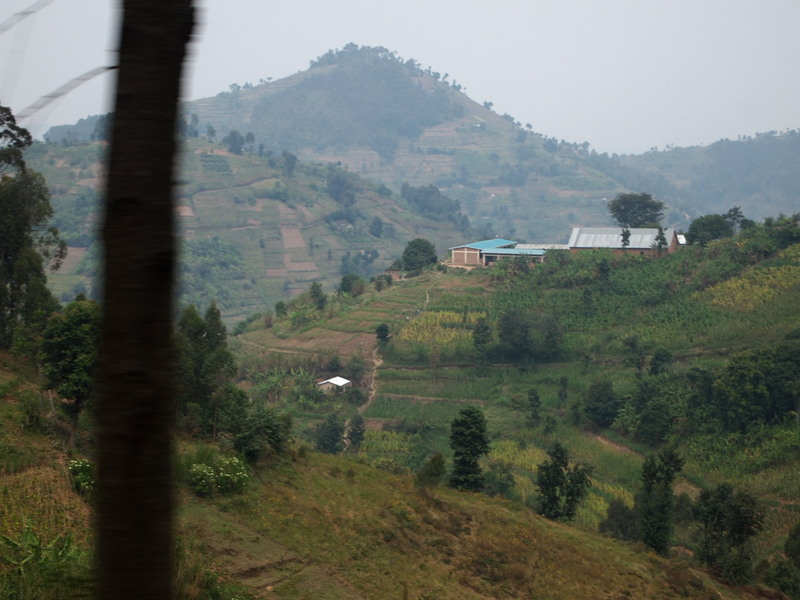 One of the newest partnerships taking shape within the company is with a vocational school in Musanze. Rwanda has seen what many Americans are beginning to, that paying a bunch of money for schooling that doesn’t get you a job doesn’t help. Yet if we can teach the skills of the workforce they will be able to obtain a job that will provide and not spend time learning things they either won’t use or lose money in the process. One of the first things we see a need for are desks at the school we helped to build/visited yesterday. What better place to build these desks than a school that is teaching carpentry. There have also been other discussions of a coffee track teaching them agronomy, processing, roasting, and barista skills (that I definitely volunteer to teach). 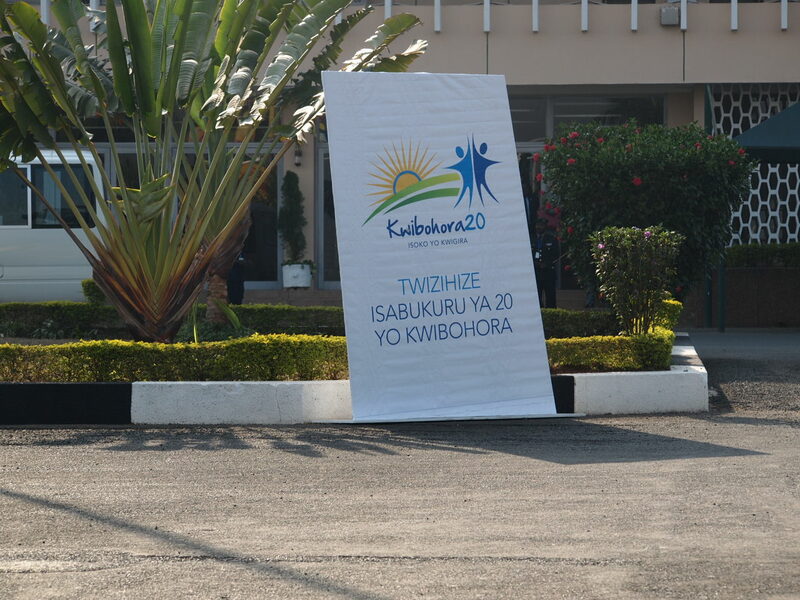 As we toured it seemed like we were getting to know more of the issues facing Rwanda. Yes they are still working towards total liberation from genocide ideology, but 20 years later and many strides taken people are asking tough questions like where does education play a role in our future? 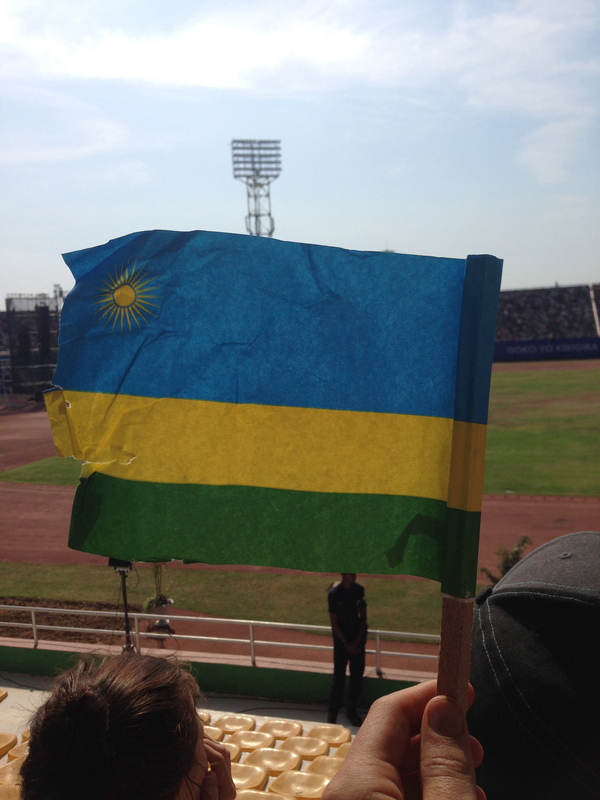 How can I make sure that Rwanda is seen as a place of peace? I get the sense that every citizen feels an obligation for foreigners to have a good experience here. Some might have the idea that we bring with us access to money and can spend some on hand crafts and other things but I get the sense that people here feel as if they have a personal responsibility to make sure Americans return to their country and advocate for their others to come and see. That’s what we do as a company, we have experienced this great joy and now invite others to come, see, and know the story they are a part of is not only real but essential to the human condition. 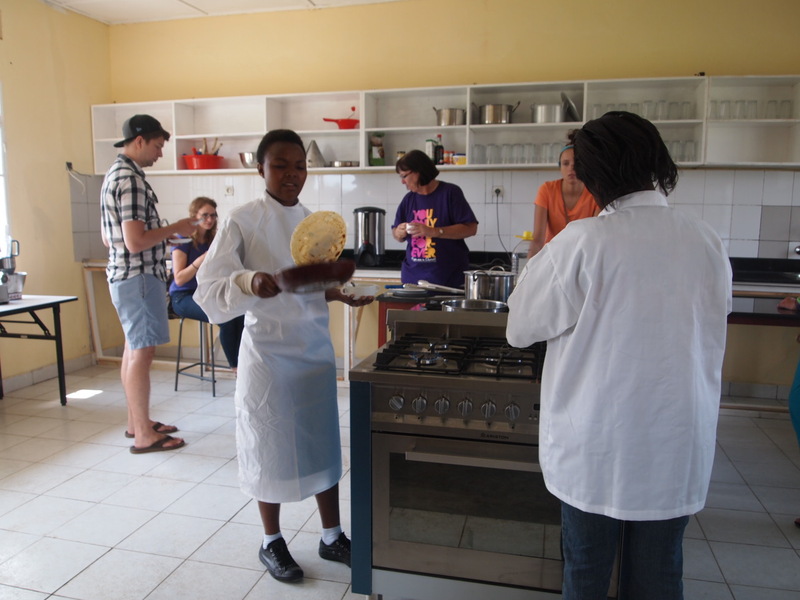 We soon got to the hospitality school where they were preparing a snack for us. The call it chapapi and it was like a potato pancake with onions, salt, and butter. They were the talk of the day. This was what hospitality is all about. If we were giving out grades I don’t think we had a single person that would give them less than 100%. It was savory, a little sweet and melted as we chewed. 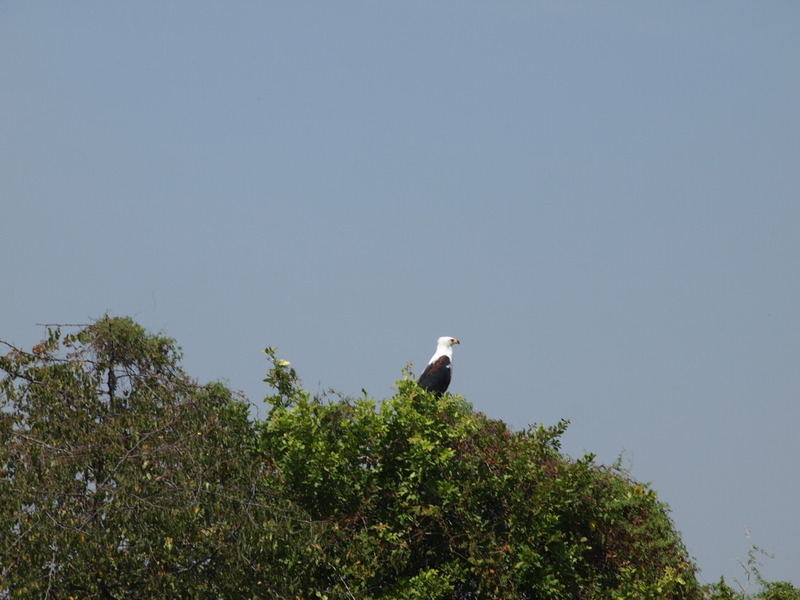 As we were leaving a group of Australians came in for a snack as well. 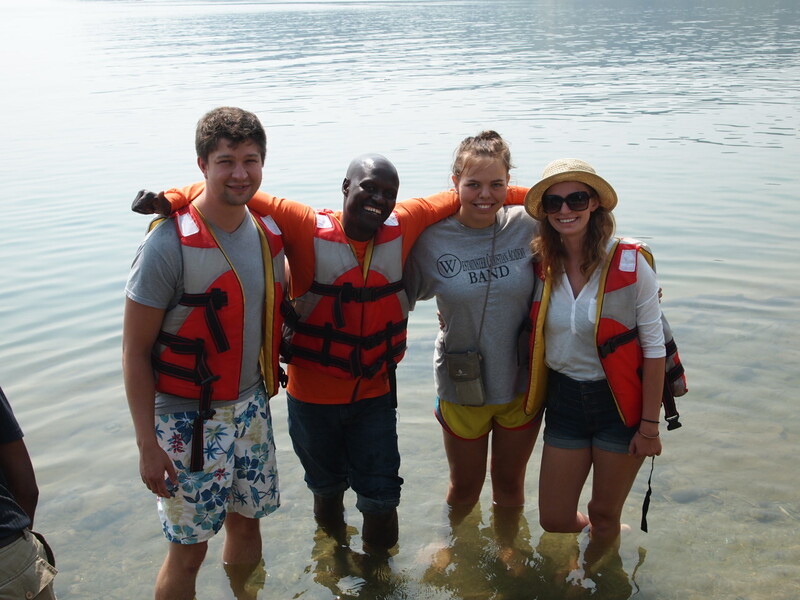 They were from Sydney and were there teaching and exploring Rwanda. When we stepped outside we noticed sprouts of green onion right next to the sidewalk. The student cooking casually walked out, plucked a few from the ground and walked back in to make more of the food. It just added to my theory that nothing is wasted here. 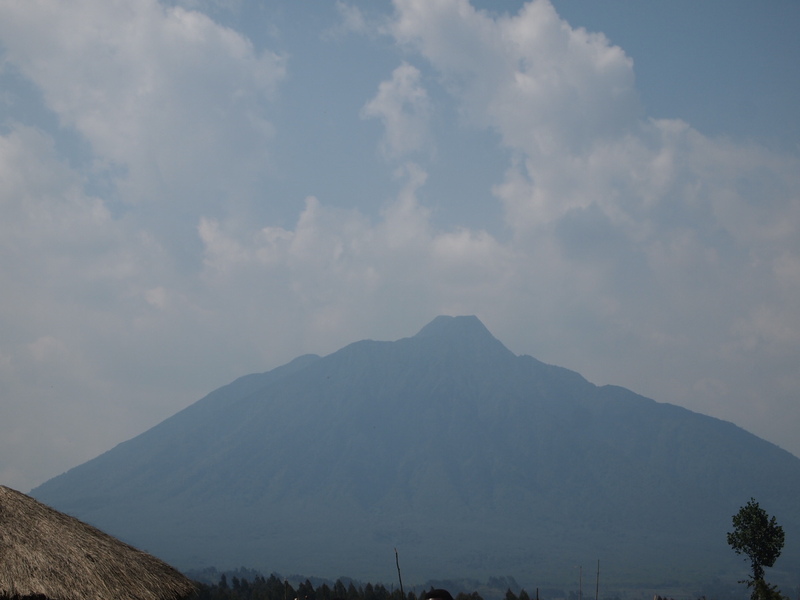 We changed gears about after learning our next excursion was a bit more expensive than originally intended and wanted to get a better look at the nearby volcano’s made famous mostly for their gorilla expeditions. When we got there a few people from a near by “traditional village” came out to great us an invited us to experience what life was like in Rwanda many years ago. 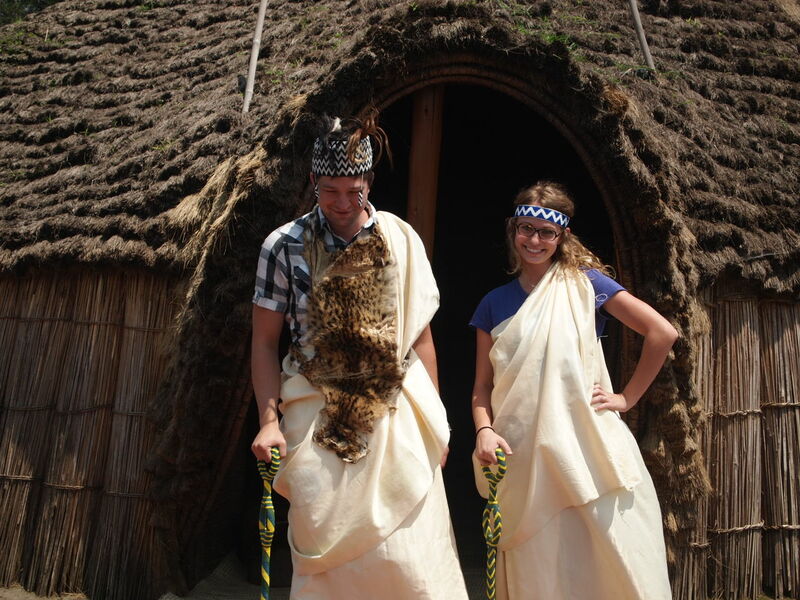 We wanted to continue to experience the culture so we walked on in. Soon there was more dancing, more singing, and even a few members of our group were made King and Queen. On the way back to Musanze before making our final destination at Kivu we made another market stop. I’ve discovered this group likes to shop and I like to explore a little bit so it’s worked out nicely. There’s something different about knickknacks and crafts in Rwanda. Not only are they pretty darn cool but they are also able to help boost the economy and tourism as an industry here. We also get to hear amazing stories like that of a vendor who takes women from prostitution or other life threatening area’s of life and teaches them skills as he sells their items. I can’t stop being amazed at this place, I know am I at this lake to reflect, but to also renew my spirit before heading back home after being gone about 2.5 weeks. I don’t know how transitioning back to american life will be, it could be rough for a bit. But I imagine my life will have new purpose. It will have a renewed sense of love for the coffee I make and people I serve. It can sometimes be easy to be frustrated and stressed with a situation I find myself in, but while I’ve been here minor instances of long to-do lists seem to be that, minor. 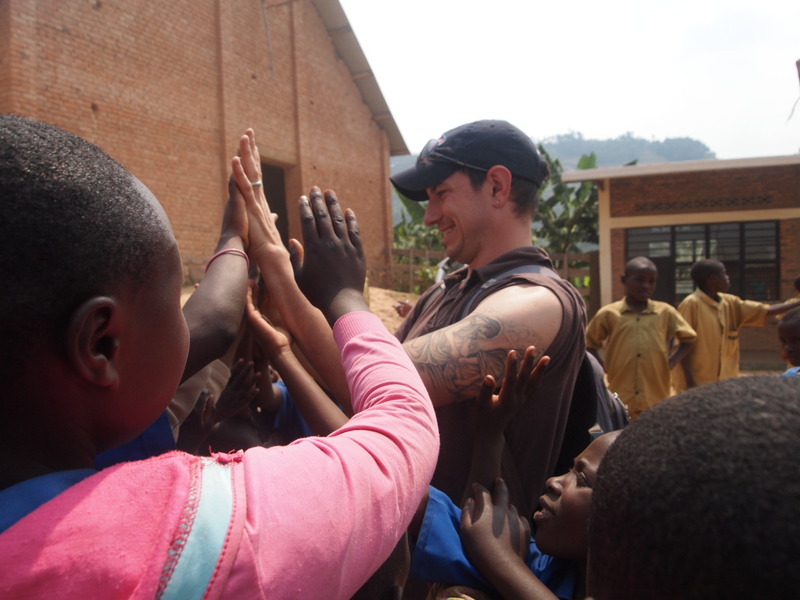 The hard working people of Rwanda have given me a new heart, again. I hope to take this knowledge and experience and invite them to come and see. Maybe not in the country, but I would argue some things can only be learned here and not in the US. I would also invite them to come and see the difference in my life and taste and see their coffee is good. Coffee can go away, it can be destroyed by disease or fire but the bonds of brotherhood formed here are not going away. Driving back to the forgiveness school today there was a lot of excitement in the car. 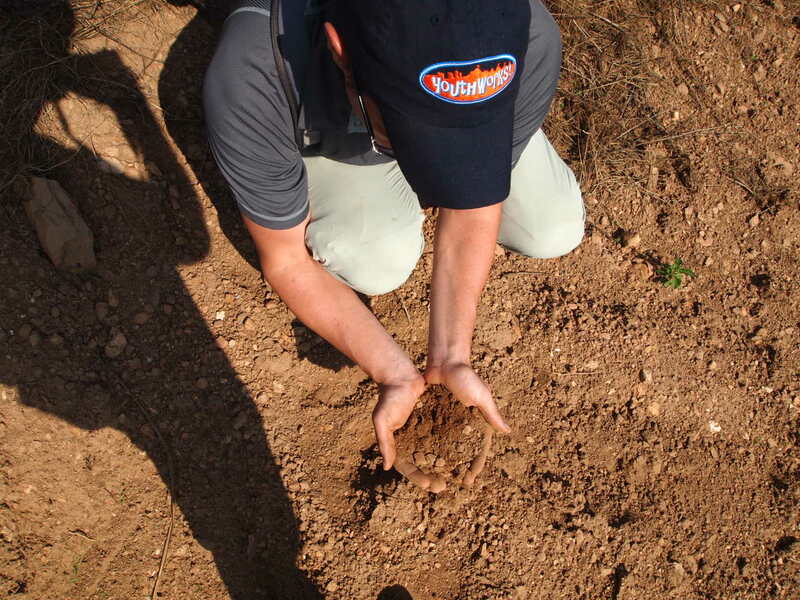 We call it the Forgiveness School because of the way in which reconciliation has been promoted and achieved in the area. 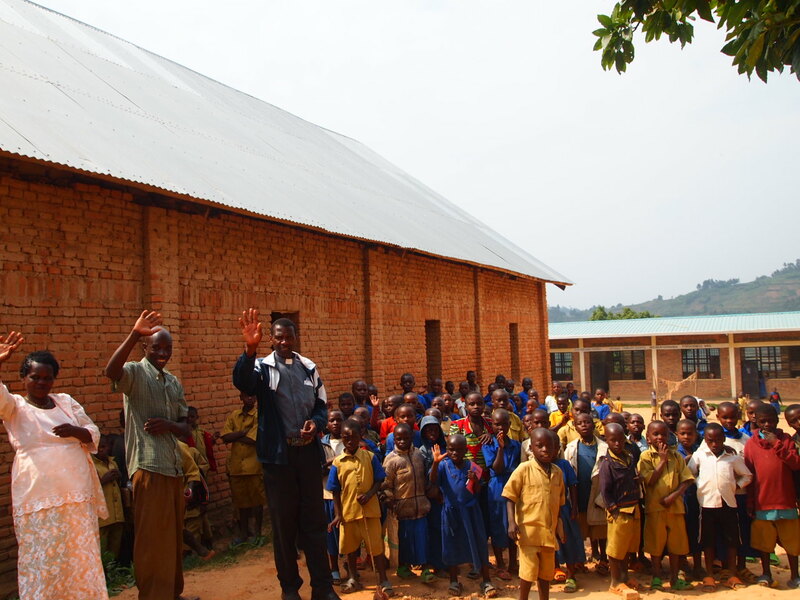 We helped to build this new school along with some other things on the property. 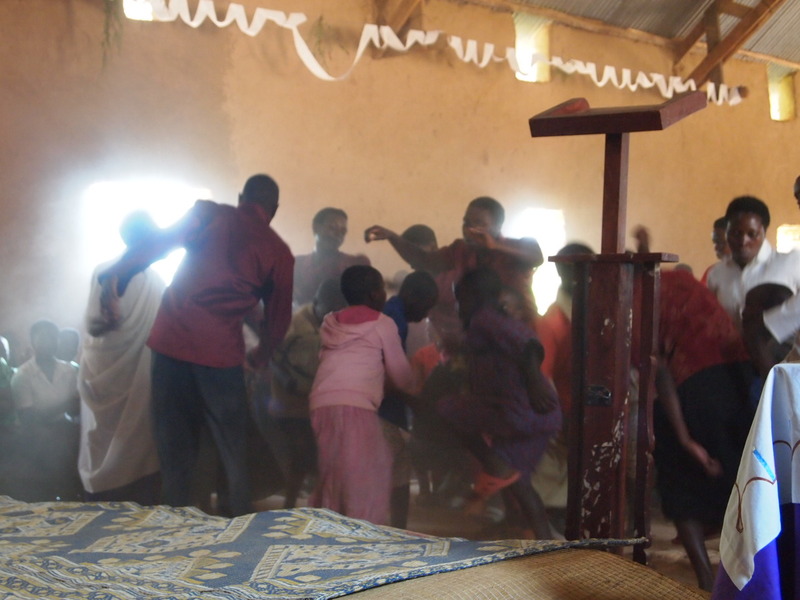 Several of the girls on this trip really wanted to play with the kids here. This was definitely going to be there chance. The drive was as interesting as I remember but soon we arrived and were greeted by one of the finest welcomes I’ve ever experienced. Children sang and danced while we were able to watch and even participate a little bit. 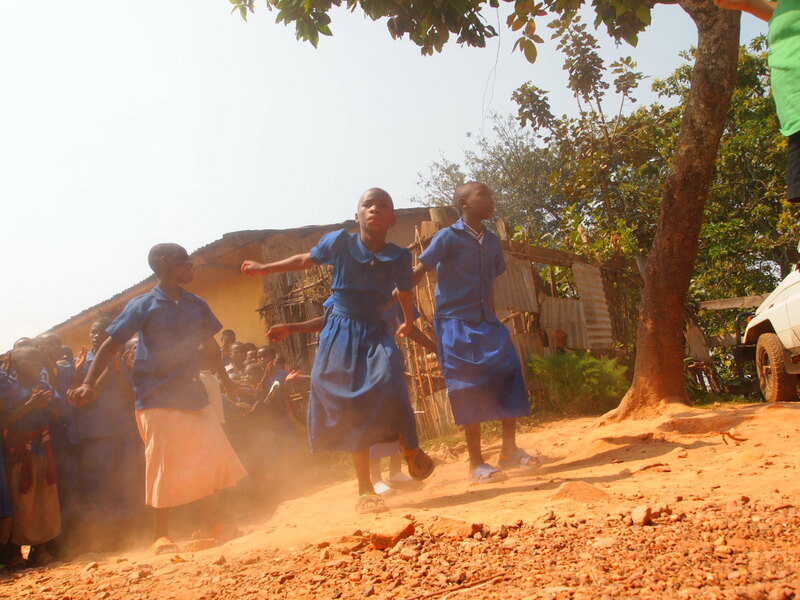 After, the children ran back into their classrooms and waited for us to come and teach. Yes we were teaching the kids and we decided on a subject that we know a lot about (at least comparatively) geography of the US. For the younger kids in first and second grade we would teach them english songs and play some random games. 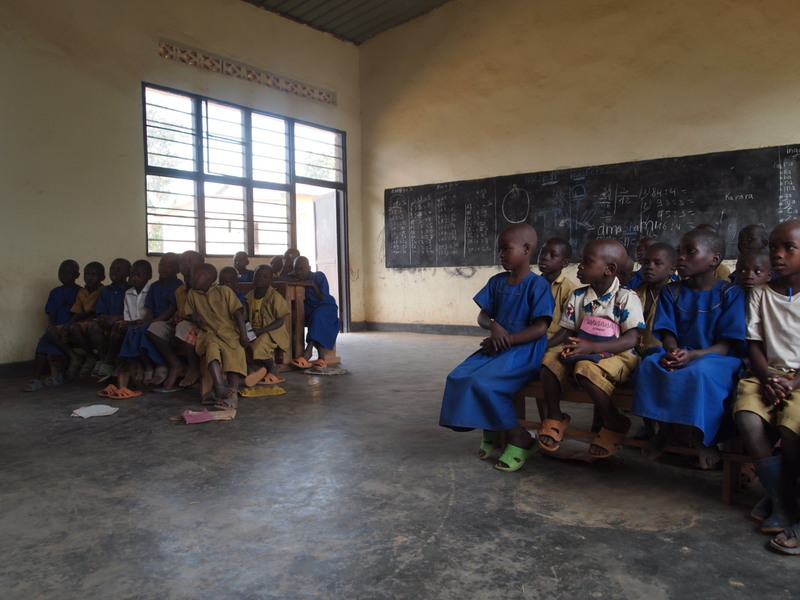 Education is incredibly important in Rwanda. Each time we talk to a farmer about what they will do with their income they speak about making sure they can pay for their school fees. Land of a Thousand Hills through our Do Good Initiative helped to build the school and an orphan dorm housing 7 kids. We also take care of those orphans with their school fees and other expenses. This is something I can definitely say the people in the US take for granted. Primary and Secondary school are free and a lot of the time people are trying to get out of going to school or at least not doing any homework. Yet the kids here understand that education is essential to a bright future they are working towards. 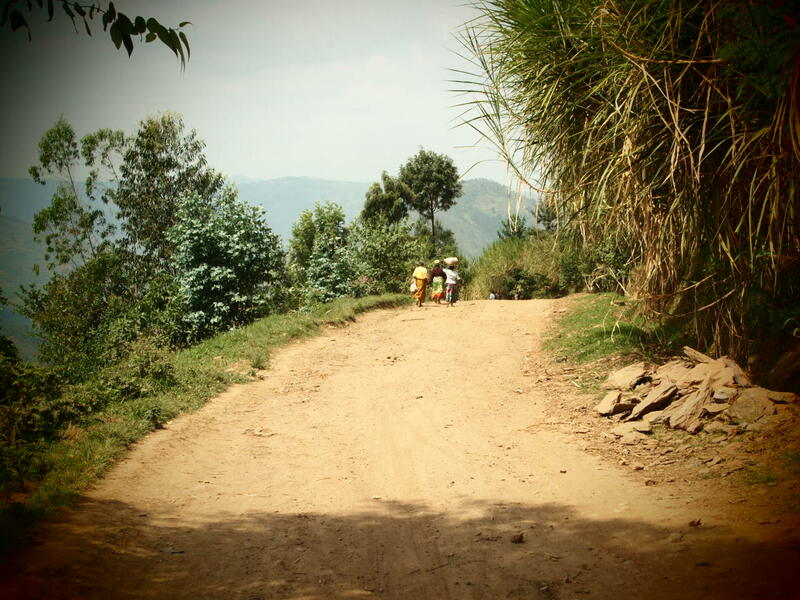 Rwandan’s are incredibly hard working, they work until it’s done. I’ve seen Manu manage to juggle trying to guide us around while working to get our latest shipment of parchment milled and ready to be exported. Even as we finished with our lessons in the afternoon the children continued to work on their studies as well as go and fetch water. When we did finish in the classroom we took to the outside to have a little fun. We busted out soccer balls and since we have a college volleyball player we got one of those too. A few days ago Manu explained to us one of the reason it’s important we visit the school is because it will help the students to understand that “Mzungu’s (white people)” are not so different. He explained how they would shake our hands and touch us and be able to see that differences in skin color don’t matter in the heart. When he explained this I had no idea I would be experiencing what I did. Once we were released to play there was a group of students who took an interest in my tattoo I have on my right arm. One person began rubbing it so I lifted up my sleeve and the onslaught began. They grabbed and rubbed both arms smiling as they did it. I wasn’t the only one experiencing such things. Soon we learned that they will basically imitate anything that we do. This includes jumping up and down, giving baseball signs, and if you hold up your fingers they will add the number and tell you in english how many you are showing. One of my favorite moments of the day was teaching them what a high five was. I consider high fives to be a love language of mine. I feel like the excitement of a good high five can get me excited for the rest of the day. I didn’t think it would be possible to give too many high fives, today I might have reached my limit. They never wanted it to stop. It’s the joy that they had that matched mine. The pure joy of learning wasn’t lost on them. The fact that this was important to receive visitors wasn’t lost on them. It seems to feel like each Rwandan feels an obligation of making sure that visitors have a good time while they are here. Walking the streets people tell us welcome and that they are happy we’re here just for the mere fact that we’re not Rwandans but want to experience their culture. Before I left I went to the alter in the empty church. They take out all of the furniture during the week since there are no doors or locks, yet the small stone steps where the alter is placed on during a service made for a holy moment of silence. Praying for this church, people back home, and for the people I have met so far. This has obviously been a special place for me. Making new friends and cherishing the people is the purpose of our being there. We have found that coffee can produce more than just a delicious cherry. 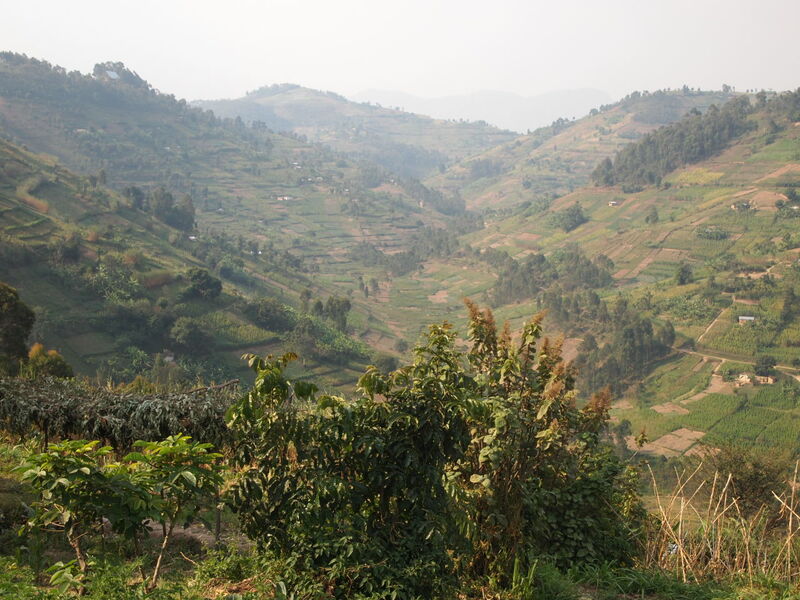 Coffee has made us available to the people of Rwanda to see how we can love them. Being able to share these holy moments with the group has been incredibly meaningful for me. There are people and places parts of me want to hold to myself, to have it all and not let others steal it away. Yet it is also the most significant moments like these that must be shared in order to expand the joy associated with them. For me it is in the country of Rwanda, going back home in a few days and having the courage to take these stories and not hold them in. To take the opportunity to share with my customers the story of these great people. To serve these people by serving others with great joy. Spending Sunday’s in Rwanda might have to become a thing. 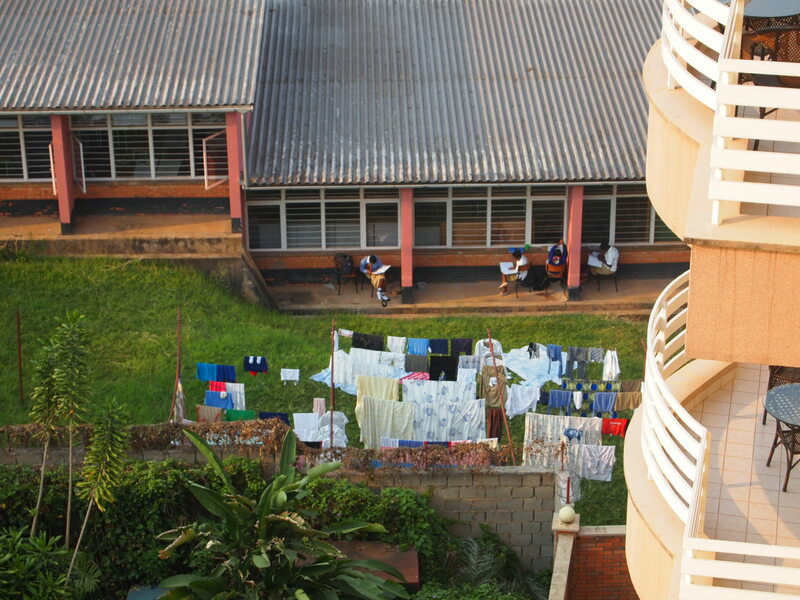 It was such an easy going morning packing up our hotel in Kigali to go to a parish in the high mountains of Rwanda. There was a few moments I didn’t know if we would completely make it up the hill. However this day was one of love, hope, joy, and realizing that the reconciliation I have talked to others about is completely real. After arriving at the the church we walked in to a celebration. They were waiting on us even if they wouldn’t admit it. We saw dancing in great joy for the Lord. 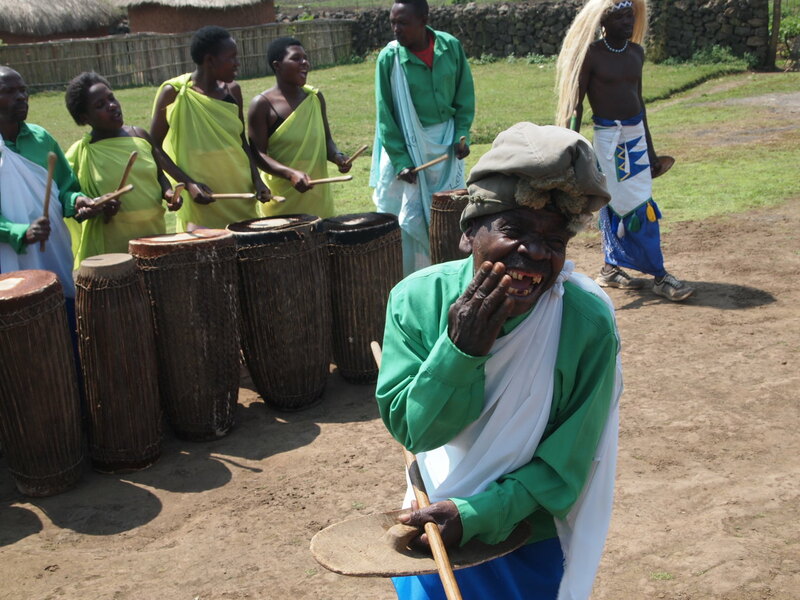 A combination of traditional Rwandan culture and transformation to doing all for the glory of God. They danced and sang for God and for us. A moment of interest happened when two people walked out of the service to attend to the dead battery in their sound system (probably dead because they waited on us). Manu helped to translate for us to make sure we could kind of follow along. The service was incredible. So much joy, outbursts of love for God and for us as visitors. Pastor Ildephonse focused his sermon on unity. This seemed to be appropriate with the presidents speech during Liberation day about being one. We all have different gifts and talents but the same spirit. Weather we are from America or from Rwanda, we have the same spirit that connects us. We are one body, one Church, one people after the expansion of love in the world. It’s amazing to me how coffee can bring us to relationships I never thought I would be able to cultivate. There were a few parts of the service that confused us Americans, including the biblical principal of bringing your first fruits of the harvest to the church. People had brought different crops to the church for their use as they saw fit. The part of the service that had impacted me the most was being able to pray with and for these people. The pastor asked anyone who had felt a tug on their heart to come forward. To ask for God’s help in whatever they needed. Pastor also asked one of us to pray for them. Being the leader it didn’t take long to realize that the person praying would be me. It was a Holy moment, to have my prayers translated into a new language and to be able to love and pray for these people I didn’t even know. I didn’t know their struggle or their need. But to pray for them. To have them know that I love them for their spirit. That was a significant moment for me. After the service they requested we basically form a receiving line and have every one in the church be able to shake our hands and welcome us to the congregation. This was incredible because of the openness of strangers. When we have a visitor we normally say welcome and maybe offer a greeting but most of the time a meal is not served with people of the congregation and showing love for one another. The moment that made me realize this was a holy moment was when I asked if the Rwandans that joined us for lunch would share a portion of their story. Something about who they are and how they came to be in their place. It was a hard moment. A line needs to be walked of having people share their story but also try and not have them relive the heartache of the genocide. The woman told us of the events leading up to genocide. And then a bit about what happened. The man who had perpetrated the atrocious acts could barely stand it. He sat next to the person he destroyed and held back tears trying to make sure he didn’t ball like I wanted too. It reminded me of a part in the service when the Pastor asked the three that joined us to stand up and to introduce themselves. He made sure to mention that whatever sins they committed, even the ones of genocide and murder were forgiven when they asked for forgiveness and love in their hearts. I wish I could explain the rest of the day/night. It is a mix of joy and conversation. Of getting to know members of the group more fully and knowing their story of coming on the trip and how God might be shaping their future. Today was a somber day of remembering people are capable of tragic things. And it is us who are responsible to correct and love all people. No matter what the circumstance. 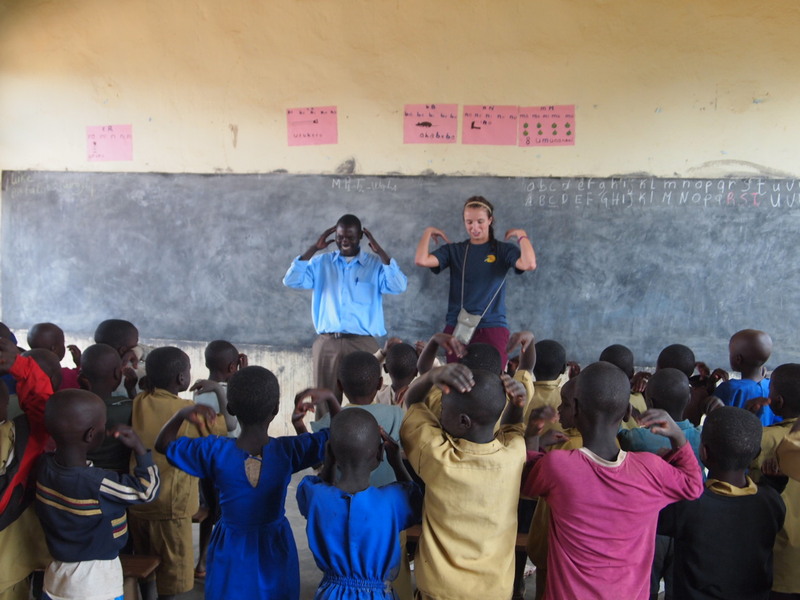 Tomorrow we head back to the school to hang out with kids and even try to teach a little bit… This should be fun! My group had to leave a bit early in order to get Mike to the airport on time. The last thing you want to do after being gone for almost 2 weeks is rush to the plane. It was sad to see him go. Definitely not as planned saying good bye at a random stop in order to wait for the rest of the group. I am incredibly thankful for his presence here. 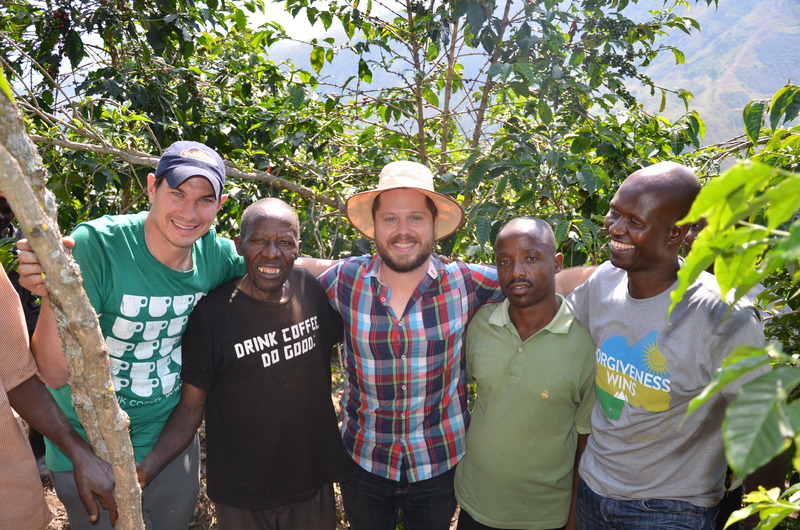 Not just in helping with the group, although that was a big part, but for his insight into the coffee world, his passion for the people of Rwanda, his love of Christ and doing the right thing, his wisdom and experience in life. Now I have about 5 more days with the group without him. When I first thought about going to a national park on this trip I didn’t really think it fit. Then I thought that if we are going to get to know Rwanda and their culture than this definitely has a spot in that pursuit. While we waited for the group I got to spend a lot more time with Manu. I’m continually amazed at his ability to multitask and not get overwhelmed. Right now not only is he basically our greatest asset here on the ground here with the group but is also coordinating our half container of coffee to be milled and shipped while managing 4 other full time employees at the washing station. His spirit and love are infectious as a symbol and representation of all the Rwandan people. Manu has such love for others and wants so badly for the group to leave with positive memories. As he said today, “money we can get back, but confidence is lost forever.” He desperately wants Rwanda to be known as a place of peace, love, and coffee. He is doing his part! Seeing Mike go brought mixed emotions. Not just at his leaving but realizing I will be joining him in departing soon. A few more days and we’re no longer be traveling coffee fields, eating cherries talking with Rwandans or being confused by conversations in Kinyarwanda. Soon I will be back hugging my wife and snuggling with my pug. But now, these moments can’t be forgotten, I don’t want to forget them, I can’t forget them. My life can’t be the same after seeing and doing these things. Now that I know these things about the world, the question becomes what am I going to do about it? Tomorrow we are back at Church in Kiyramo and hearing stories shared from some members. I’m very excited to see Pastor Illdephonse again and know his heart and passion more. How can I explain a celebration of a 100 day genocide in which a million people were murdered coming to an end. In America today fireworks are being exploded, as Independence from English rule is celebrated. A war put made sure the declaration of independence was permanent. In Rwanda, women, children, unapologetic violence erupted 20years ago and no distinction was made between civilian and military. Today the leader of the Rwandan Patriotic Front who helped to put the genocide to a close gave a tremendous speech as the now president of the Republic of Rwanda. 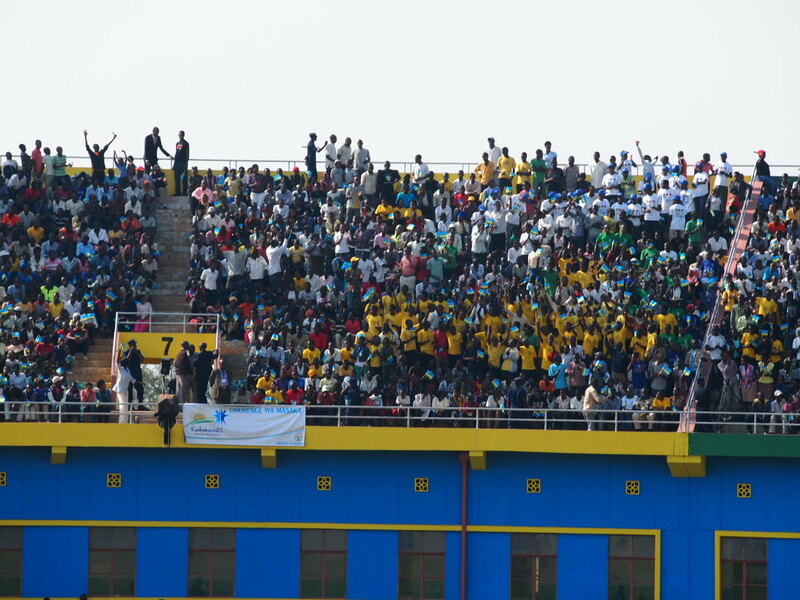 We woke up and the sole thing on our agenda was to celebrate the 20th anniversary of Liberation with the Rwandan people at their National Stadium. We arrived trying to get there early enough to find a good seat. Fortune was on our side. Many people were already lined up to be searched by military police before being allowed to go inside. Manu led us up to the check point creating his own line to get us in quicker. Manu was searched and allowed in and then Mike went to be patted down. They saw his backpack and camera (which I had my own of as well) and was then taken off to the side and the rest of our group joined him. We explained to the military leader that we were a part of a Rwandan coffee company with partners from the US. To our surprise he took us to a special section to have our bags scanned. After explaining our situation to a few more people we somehow ended up the the special badge only section. After waiting another hour or so we ended up even closer sitting next to a member of parliament and probably could have thrown something at the President. As we sat and waited for the official ceremony to start spontaneous eruptions of joy happened all over the stands. Dancing and singing from the thousands of excited Rwandans celebrated their liberation and freedom to live without the fear of being stopped and murdered because of their perceived inferiority. The military put on a marvelous show. I never knew marches could be entertaining but you could see in their precision and unity that they had come a long way. 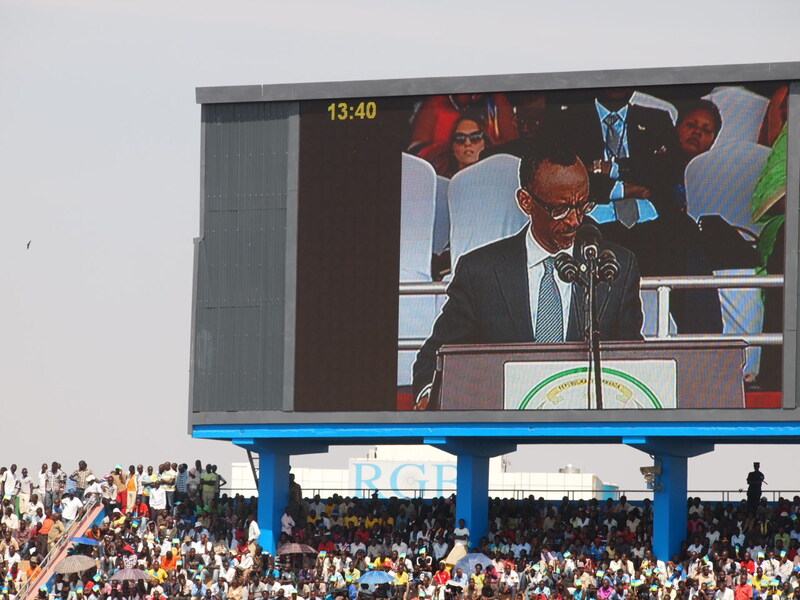 They introduced the President of Kenya, Burundi, and South Sudan who were attending to stand in solidarity and unity with other African countries who love Rwandans and appreciate the journey they have experienced. The ceremony was beautiful but the speech by the president was remarkable. They have come a long way, much more to do, but these people have not given up the fight to survive. They have not given up the right to exist as a country and have done such amazing things. From the unity of all Rwandans, the excelling of Rwandan women (65% of government leadership positions) and others striving towards their goal of a better country. The recognize the journey they have taken and see the joy in the striving they have taken. Yet they also recognize they tragedy and loss of the dark period in their history but they refuse to allow that to define their future. Yet, “nothing about the past is an excuse for failure, even where real wrongs were done.” Paul is leading this country to a better tomorrow. In meeting the people of Rwanda and seeing some background on the realness of the event 20 years ago made me realize that to be here for this event was something to be cherished. This was an event I won’t forget, to celebrate not a triumph of winning the Revolutionary War, but overcoming a tragedy, recovering, and healing like I don’t think I could. Meeting more and more of these people makes me know that crazy awesomeness I have experienced in their spirit will ensure their future. After the celebration we went and practiced our haggling skills at a craft market. 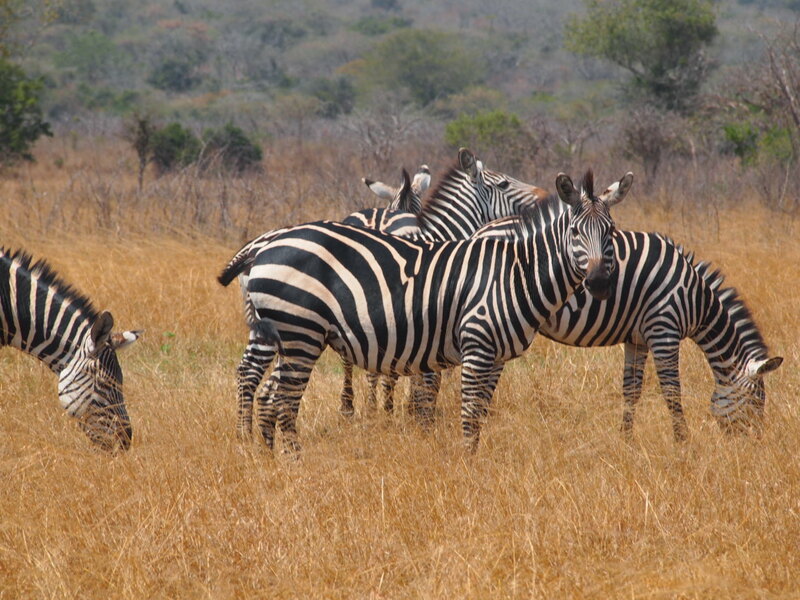 Tomorrow we participate in an industry they are trying to grow by going to a national park to experience a safari and see some of the natural habitats of beautiful animals.